Illinois is a state in the midwest area in the US. It borders Lake Michigan on it's north east side, and the Mississippi river on the west side. It's nicknames are Land of Lincoln because president Abraham Lincoln grew up there, and The "Prairie State" because it was a land covered in prairie grass. The flag of Illinois has the state seal on it, which shows an eagle holding a shield with USA stars and stripes on it. In it's beak the eagle is holding a banner that has the state motto in it, state sovereignty, national union. When Illinois first made their motto they were trying to say that the states should have the rights to do whatever they wanted without the rest of the USA's permission. So state sovereignty meant the state was the boss, and national union meant they still wanted the USA to be connected as a bunch of states. That was one of the things that the civil war was fought over. The states on the north union side thought the USA should be the boss over the states, and the south confederates thought the states should be the boss over USA. Illinois fought in the civil war on the north union side, so later when the flag was redesigned, one of the people who didn't think it was right to have state sovereignty like that had the flag redesigned to have the word sovereignty printed upside down because the south confederacy lost the war. The west border of the state is the Mississippi river, one of the longest rivers in the whole world. The city of Chicago which is the third biggest city in the US is right on Lake Michigan. 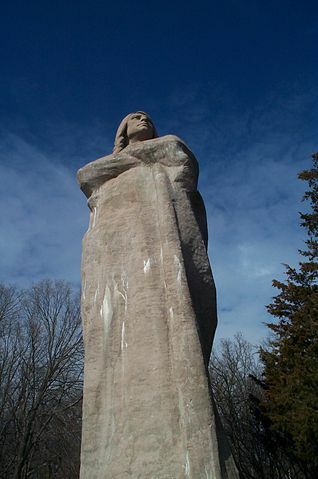 There is a large statue honoring the Black Hawk War of Native Americans in Illinois. One of the tallest buildings in the world is called the Willis or Sears Tower. 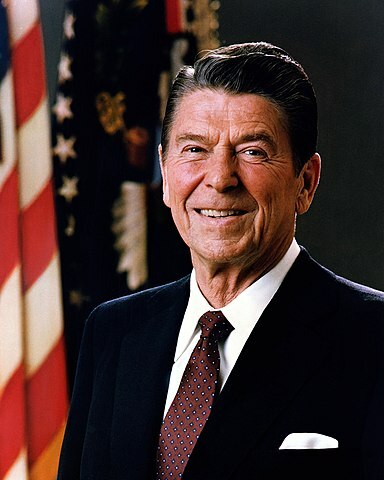 The 40th president of the US Ronald Reagan was born in Illinois.